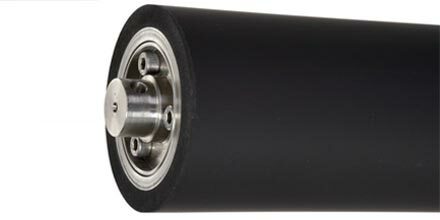 Sigma Global is a World Leader, supplying rubber covered rollers using a wide range of elastomeric compounds to many industries. With factories in both India and in the UK manufacturing rollers for both Original Equipment Manufacturers and end users. Sigma Global strip, recover and repair rollers for many industries with specialist applications from woodworking, plastics, polythene, paper converting, leather and glass-making to the printing industry. We are also accredited to supply Original Equipment Manufacturers for various industries. Further investment over the past years of products for the Printing Industry has seen a significant increase in the stockholding of Press Ready Rollers for many Heidelberg, Komori, Mitsubishi and Manroland presses. All Press Ready Rollers are supplied boxed with bearings fitted and ready to be assembled into the press. This is an exchange service and the customer will not have any further costs if the old roller is returned to Sigma Global within 60 days. All compounds are designed, formulated and manufactured by Sigma Global, so there is a consistency of compound and quality worldwide. Compounds are constantly evolving, with a lot of development work being carried out for compounds used in the printing industry. Sigma Global has achieved ISO9001, ensuring that all rollers are manufactured to a high standard and specification. Rollers are manufactured and ground to exacting specifications on our grinding machines which are computer controlled with digital readout and the ability to grind true parabolic cambers when required. All rollers are measured on our Laser Mike, meaning that every roller is measured accurately and precisely. As machines are now running faster, many rollers need to be dynamically balanced: a service which is available from Sigma Global. As new high speed machines are developed using new materials such as carbon fibre, Sigma Global have developed manufacturing methods which can extend the life of the carbon fibre with the introduction of the “sacrificial layer” of a proprietary product between the carbon fibre and the rubber covering. A Sigma Global roller in manufacture. Developing, producing and supplying quality products and services, while achieving leadership in all markets served. Have systems in place to ensure that the quality and service expectations of our customers are met. Provide continuous training for all of our employees.